08/04/2016 - Ministers of Agriculture from OECD countries and partner economies worldwide met in Paris on 7-8 April 2016, to discuss Better Policies to Achieve a Productive, Sustainable and Resilient Global Food System. The meeting was co-chaired by Stéphane Le Foll, Minister of Agriculture, Agrifood, and Forestry of France, and Tom Vilsack, United States Secretary of Agriculture. 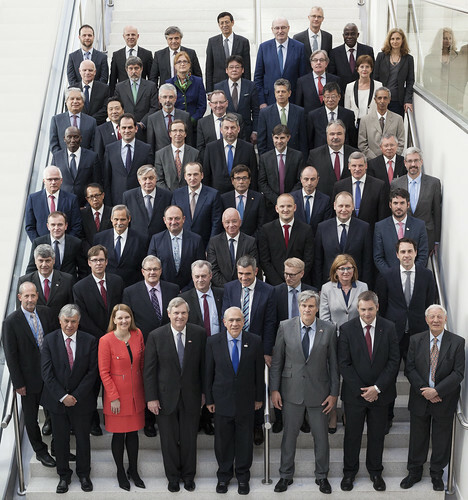 Read the final Declaration of the OECD Meeting of Agriculture Ministers. For more information on the Ministerial Meeting on Agriculture, please visit: http://www.oecd.org/agriculture/ministerial/.